Mr. Britton concentrates his practice in the areas of family law and civil litigation. He has extensive experience in a wide variety of domestic relation matters including divorce, equitable distribution, custody, support, alimony, Property Settlement Agreements, Pre-Nuptial Agreements and other family law matters and regularly appears in court related to those matters. He also represents a broad spectrum of individuals and small businesses in a variety of civil matters, including personal injury actions and residential real estate transactions. Mr. Britton has resided in Bucks County since 1967, graduating from Council Rock High School in 1975. Thereafter, he received his B.A. from Wesleyan University in 1979 and his J.D. from Villanova University in 1982. After graduating from Villanova University, Mr. Britton joined Begley, Carlin & Mandio and he became a partner in 1988. Mr. Britton is active in the Bucks County community in a variety of different organizations. He has coached baseball for Tri-Township Babe Ruth from 1990 to 2003 and has served on the Tri-Township Board of Directors since 1999. Mr. Britton has also coached basketball and travel soccer with Upper Makefield leagues; coached football with Council Rock teams in the Pennsbury Pop Warner League and is currently a member of the Council Rock North Football Boosters. He has also served on several local fund raising and golf committees and is a member of Lookaway Golf Club. 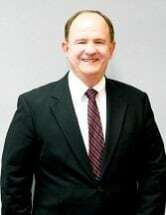 He has been a member of the Wrightstown Township Zoning Hearing Board since 1989, serving in the capacity of President from 2001 to the present and is a former President of the Wrightstown Business Association. Mr. Britton is a member of the Bucks County Bar Association, having served as a member of its Board of Directors for a period of two (2) years, the Pennsylvania Bar Association and the American Bar Association.